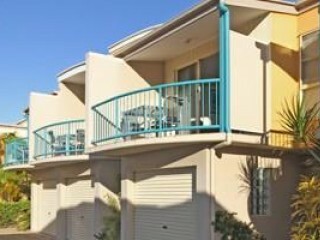 Coolum Beach is located between Yaroomba and Peregian Beach on Queensland’s beautiful Sunshine Coast, offering guests a range of beach and bush activities and a wide range of accommodation options. 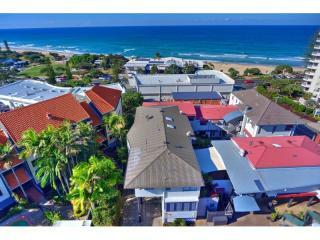 While the area has a population of only 18,000, Coolum Beach is the Sunshine Coast’s largest town, and is home to a number of established resorts, holiday parks and hotels. With a growing rate of small businesses in Coolum Beach, visitors can expect to find several local café, bar and food establishments amongst boutique stores selling local goods and produce. Seafood is particularly popular in the area, with many local restaurants boasting Maroochydore king prawns and scallops from Hervey Bay. The area draws both domestic and international visitors, with the Sunshine Coast airport catering to domestic visitors, and Brisbane Airport only a 90-minute drive for international visitors. With a new international runway and terminal currently under construction at Sunshine Coast Airport, international travel to the area will be made even easier in coming years. A subtropical climate provides year-round moderate temperatures, with spring and summer averaging in the mid to high 20s, and cooler months in the low 20s. Tourism at Coolum Beach is particularly active during school holiday periods, where family friendly activities such as open-air cinemas and twilight Christmas markets take place. While summer is undoubtedly the area’s busiest period, Coolum draws visitors throughout the year, with cheap off-season accommodation rates, annual spring events such as the Wildflower Festival, warm autumn days and a dry winter that’s perfect for local bushwalking. 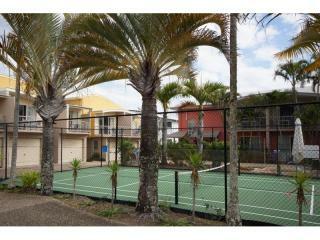 Please see our current selection of Coolum Management Rights for sale below.